Check out this great series of laser-cut wood Christmas tree ornaments, decorated with the pictures of science heroes. 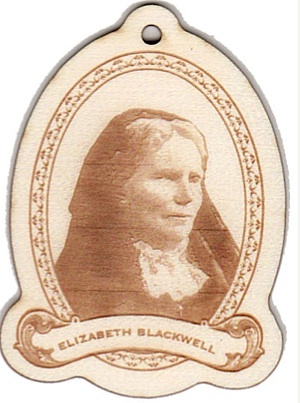 That's Elizabeth Blackwell, the first female physician in the United States. You can also get Mary Leakey, Carl Linneaus, Rosalind Franklin, Charles Darwin, and more!